Take 66 climbers from 22 different countries, add some Cornish sea cliffs, a packed evening programme, and a good dose of sunshine. What do you get? 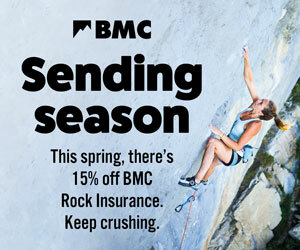 The BMC International Sea Cliff Climbing Meet 2013. This is the second time the BMC has gone Cornish following the success of the first Land’s End Meet in 2010. The aim of these Meets is to showcase the uniqueness of British climbing and its ethics and traditions, along with fostering international relationships. This year’s event was located at The Count House, a 200 year old hut (owned by the Climbers’ Club) perched above the majestic sea cliffs of Bosigran, from 12 to 19 May. The week started off in true British fashion with climbers arriving in rain, drizzle and sea mist. Visibility was poor. “Where is the sea?” people were asking. Thankfully the next day dawned bright. The clag had cleared revealing the morning light catching the turbulent Atlantic Ocean. Let the climbing begin! People who had travelled half way round the world finally believed they were near sea cliffs. They ventured out and climbed all day experiencing how good it can be when the weather is kind. Then day two hit like a slap in the face, heavy rain everywhere. There was a two hour break in the weather which we now realise was the ‘eye of the storm’. Some keen teams hot-footed it to Bosigran when the rain stopped to climb wet routes, only to end up assaulted mid-route by one of the fiercest storms locals had experienced in over 25 years. Tents blew away, power cables went down, and waterproofs were severely tested, that is if you managed to stay upright. Luckily no-one was hurt, and amazingly everyone was still smiling. After a day like that the rest of the week felt like a blessing weather-wise. Any passing rain showers were simply brazened out with a “bring it on” attitude. 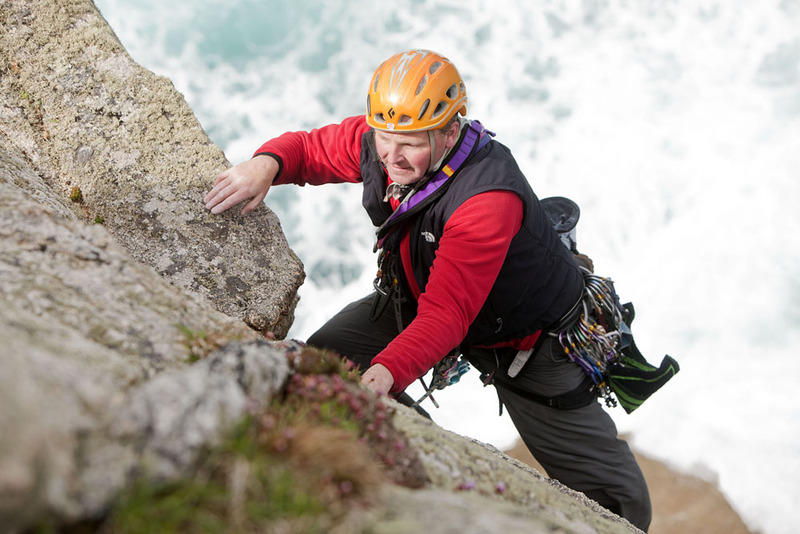 Our international guests were paired with a UK climber who took them out and showed them the full delights of traditional climbing on some of the finest sea cliffs Britain has to offer. Throughout the week many routes of all grades were climbed and friendships were made. There was a great mix of climbers with a broad range of experience, both male and female, aged from 20 to 65 years. 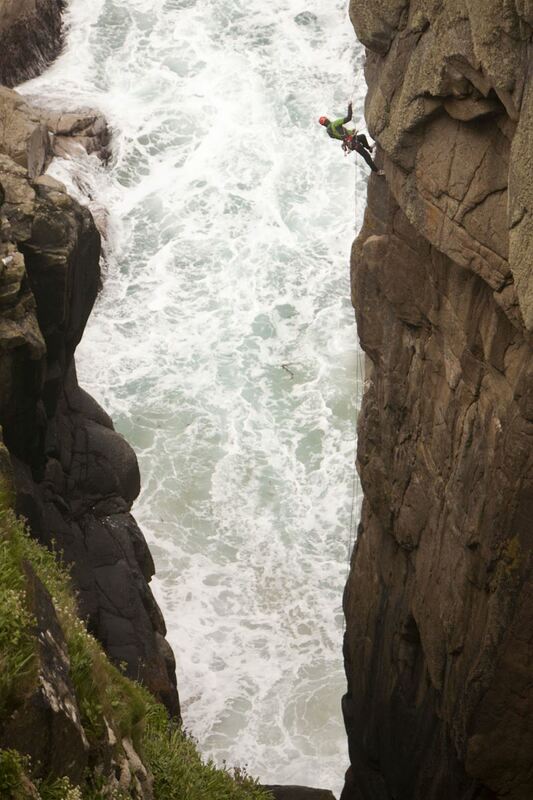 Some international guests had never trad climbed before having only experienced clipping bolts. It was great to see them acquainting themselves with placing gear and watching their confidence grow under the skillful eyes of the UK host climbers. Highlights from the evening programme were 'In Extreme Danger'' by Frank Cannings (UK) about the BBC documentary of his epic Lundy rescue in 1971 and 'Sport Climbing in the Maltese Islands' by Simon Alden (Malta). The international guests got a great taste of some vintage British pastimes such as curry in the pub, fish and chips from the chippy, and a barn dance with local musicians and farmyard animals. The BMC would like to extend its thanks to all the UK hosts who gave their time and care in taking the international guests climbing, to all the guests for travelling far and wide to be there, to the Climbers’ Club for providing a superb venue, Toni Carver for organising the local bands, North Face for donating prizes, and finally (but by no means least) to ‘Team Peters’ for doing an awesome job of feeding 66 hungry climbers and helping to keep spirits up with their boundless positivity. Read on for the facts. Belgium, Croatia, Finland, France, Germany, Ireland, Israel, Italy, Latvia, Malta, Netherlands, New Zealand, Norway, Poland, Portugal, Romania, Serbia, Slovenia, South Africa, Sweden, USA and UK. Over 140 routes from Diff to E6 saw multiple ascents. Bosigran, Carn Barra, Carn Gloose, Carn Gowla, Carn Guthensbra, Chair Ladder, Cribba Head, Great Zawn, Gurnard's Head, Kenidjack, Land's End, Lizard, Pentire Head, Pordenack Point, Robin's Rocks, Sennen, St. Levan, St. Loy, Trewavas and Zennor. Many international climbers, an avalanche of E-Points, and a mountain of cream teas: that's right, it was the return of the BMC International Meet and this time it was headed to the golden granite cliffs of Cornwall. Paul Seabrook, a host on the meet, tells us what went down. Connect with international friends, climb with like-minded people, go crazy over the Cornish granite: the BMC International Meet 2017 is headed to Cornwall.